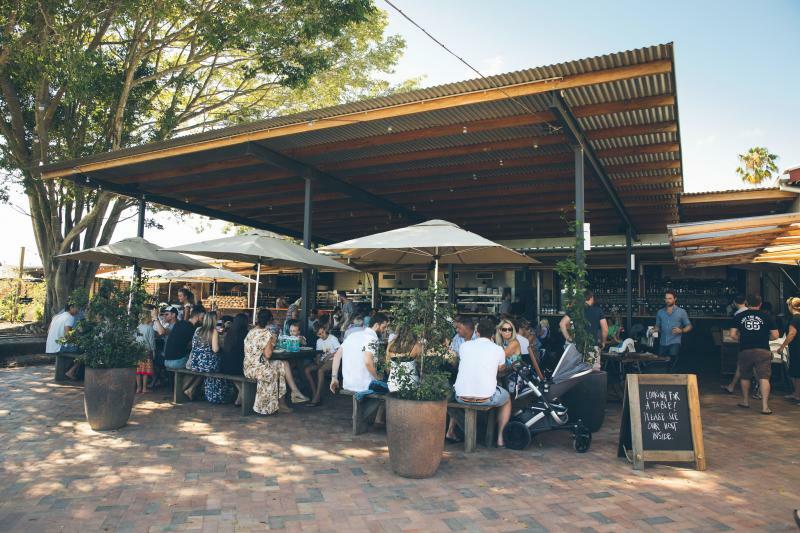 Three Blue Ducks is located at The Farm in Byron Bay and they run the cafe, restaurant and local produce store. All meals are made with fresh locally sourced seasonal produce. A divine array of flavours are used to create exceptional meals. With such an emphasis on fresh produce, it’s no wonder that the lunch menu is so popular. The always changing menu includes vibrant salads, fresh fish dishes and heavier meat options during the colder months. Three Blue Ducks aim to source local, fresh and seasonal produce within 500 km of our restaurant (except oysters and coconuts) – chemical-free, organic, grass-fed and grass finished. Many ingredients for their dishes come from the sustainable farm on-site, from fruit and vegies, herbs and salads, to organic eggs and a wide range of livestock. The Ducks also draw upon the region’s best edible goods from local and ethical producers. The dining area has been designed to be low-key but comfortable with sweeping views of the Byron Bay Hinterland and the farm itself.